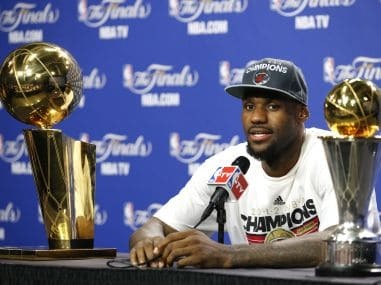 For the last seven years, the mere presence of LeBron James has been a barrier to the NBA Finals and championship dreams of many great players and teams in the East. 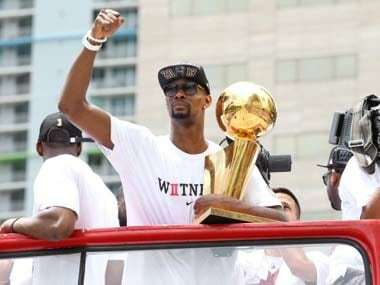 Chris Bosh of the Miami Heat underwent testing at a hospital on Thursday to assess a medical issue related to the area around his lungs, a person with knowledge of the situation told The Associated Press. 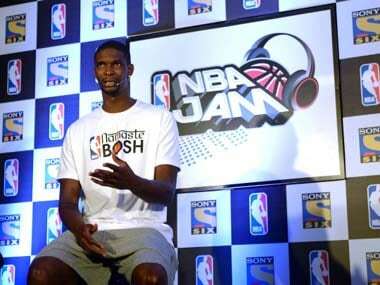 Chris Bosh sat down with Firstpost to talk about the NBA fnals, playing with LeBron and Wade and the joys of a good photobombing. NBA Jam, which includes fan activities such as a slam dunk contest, basketball clinics, 3-point shootouts, and skill challenges, is the next step in an ongoing endeavor to increase basketball's popularity in India. 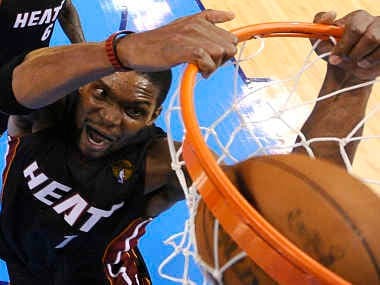 Miami Heat beat Oklahoma City Thunder 100-96 on Thursday, squaring the NBA finals series at 1-1.